Cost: Average dinner cost per person is around £45 (not including drinks). Small plates for starters range from £6.50 to £16, ceviches and tiraditos from £12 to £25, while an assortment of 10 sashimi costs £81. Dishes from the robata charcoal grill cost from £8 to £144, while Kobe beef dishes cost up to £1,000 for 1kg ishiyaki on hot stone. About: Sushisamba has probably the most stunning alfresco terrace in London, 38 floors up in the Heron Tower, opposite Liverpool Street Station. No less arresting is the arrival - guests reach it after a rapid ascent in a glass-sided lift with increasingly spectacular views as it nears the top. With branches in New York, Miami, Las Vegas and London, Sushisamba offers Executive Chef Claudio Cardoso’s unique interpretation of Nikkei cuisine, a blend of Japanese, Peruvian and Brazilian cooking, reflecting the migration of Japanese to South America in the late 19th and early 20th centuries. 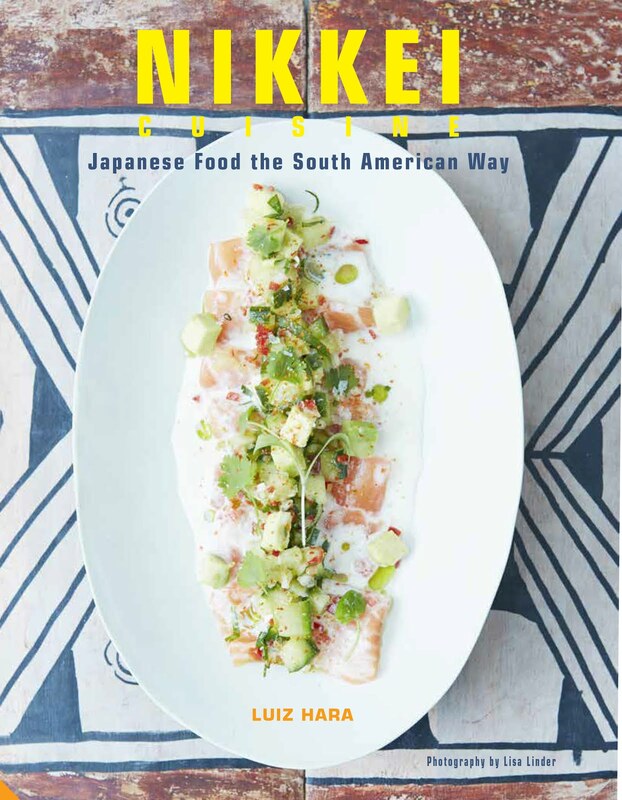 As a Nikkei chef myself, and having written a book on the subject (Nikkei Cuisine: Japanese Food the South American Way, click here for more details), I was curious to try Chef Cardoso’s take on Nikkei cooking. Add to that, a brand new cocktail menu which is now available at Sushisamba, we decided to pay a long overdue visit. What we ate: Diners are recommended to order a few ceviche or sushi plates, then 2 to 3 hot dishes from the robata grill menu. We started with green bean tempura (£7) – crunchy and lovely, the humble veg was transformed by the rich and delicious black truffle aioli it was served with. Better still were the crispy taquitos of lobster (£17 for 2) – these were delectable filled with fresh lobster, and a refreshing hit of chilli and aromatic lime. Salt and pepper squid (£13) came with dry miso, Japanese shichimi chilli pepper, sea salt, crispy garlic, smoked soy and bonito tail sauce. We could not resist a couple of Kobe beef sliders (£6.50 each), with horseradish mayo, tomato and lettuce. Served in a striking, jet-black bun possibly made with activated carbon flour, the beef was exquisitely flavoured and tender. Better still was the Nikkei ceviche (£14) which included raw salmon served with a zingy dressing made with sesame, tamarind, ponzu and aji chilli and garnishing of seaweed and macadamia nuts. Served with crispy pumpkin, the ceviche had a great combination of sweet, creamy, citrus and chilli heat flavours. A classic Nikkei dish invented by the Japanese in Peru is the tiradito - a bit like ceviche but with the fish sliced sashimi-style and marinated for only a few minutes. We had the kampachi (amberjack) tiradito (£14), with yuzu, black truffle oil, sea salt, garlic and chive. Served on a gorgeous block of Himalayan salt, this was good although the amberjack had a rather watery texture. Anticuchos are a traditional Peruvian street food, made from meat marinated in vinegar, garlic and chilli, and grilled on a wooden skewer. We had the anticucho de corazon de pollo (chicken hearts) with Peruvian corn and aji panca which is a Peruvian smoked and dried red chilli (£12). As a Paulistano, I could not help but order the Moqueca Mista (£30), a typical Brazilian dish, here consisting of jumbo shrimp, squid, seabass, mussels, clams, dende oil, coconut milk and chimichurri rice. This had richly flavoured mussels, although the rice was a little stodgy like rice pudding and the sauce was over salty but oddly under-flavoured. I really wanted to love this dish but overall I found it disappointing given the price point. The tiger maki (£16) were well presented, and the selection of nigiri (priced at £6 to £24 each) was delicious with the freshest fish and seafood. For dessert, we chose the Zen Garden (£13). With yuzu curd, bergamot tea biscuits, chocolate, lychee and peach stones, this was a creative dish, beautifully presented and with light, well balanced flavours. Our second dessert was he Alfajores (£12.50) – this had various elements including dulce de leche ice cream, alfajores biscuit, caramel, coconut mousse, dark chocolate and marshmallow. What We Drank: Cocktails cost £13 or £14. There is a wide range of sakes on offer, while the entry level white wine is a New Zealand Gewurztraminer, Millton, at £56. The entry level red is a Marselan from Casa Valduga, Brazil at £46. If you fancy bringing along your own wine, you can but bear in mind that there is a £45 corkage fee for wines and a £75 per bottle for Champagne. We started in the bar with a couple of cocktails from the new cocktail menu (all £13). The Sesame Old Fashioned combined sesame-washed Scotch whisky with salted caramel and maple. Served over an improbably massive cube of crystal-clear ice, this was rich and creamy, with a lovely nutty finish. The Yuzu Gin Fizz had Bombay Sapphire gin, yuzu juice and shiso infusion, with fresh shiso and mint leaves. Served in a jazzy orange tin can, this was ultra-refreshing, with a thrilling intensity of fresh yuzu fruit flavour. With the meal, we shared a bottle of deliciously aromatic Gruner Veltliner, Weingut Willi Brundlmayer, Terrassen, Kamptal, Austria (£67). With dessert, we had a couple of the sweeter cocktails - the Miso Mule (£13) combined Grey Goose Vodka, lime, ginger and a miso and coconut reduction, served long and lightly carbonated. This had a refreshing citrus hit, as well as an unexpected but not unwelcome hint of pineapple. The Plantain Punch was made from Bacardi Carta Negra rum, plantain puree and aromatized wine shaken with egg white, banana, cacao and a coffee infusion. Served on the rocks, it had a rich banana and coffee sweetness. 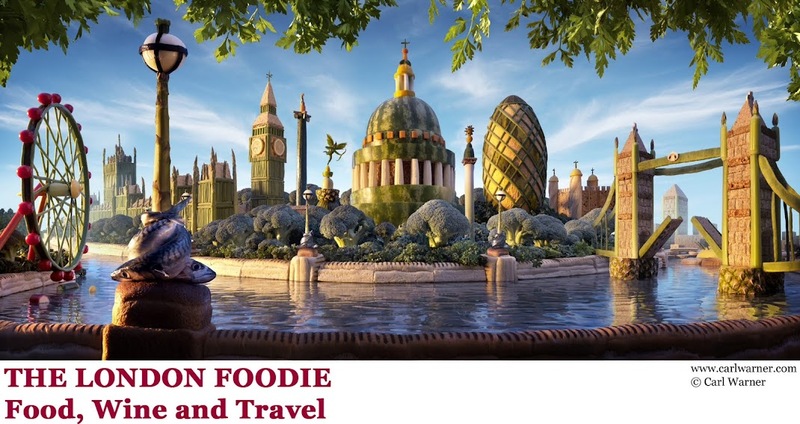 Likes: The extensive selection of cocktails is well thought-out, perfectly-made and reasonably priced, while the London skyline views are just second to none. The sushi were also very fine. Dislikes: The wine list is expensive and the moqueca was disappointing. Verdict: For glamorous cocktails, fine sushi and a spectacular London City views, it is hard to beat Sushisamba. Recommended.